Goodreads: Johnstown, New York, 1823: It is a time when a wife’s dowry, even children, automatically becomes her husband’s property. Slavery is an economic advantage entrenched in America but rumblings of abolition abound. For Elizabeth Cady to confront this culture is unheard of, yet that is exactly what she does. Before she can become a leader of the women's rights movement and prominent abolitionist, she faces challenges fraught with disappointment. Her father admires her intellect but says a woman cannot aspire to the goals of men. Her sister’s husband becomes her champion–but secretly wants more. Religious fervor threatens to consume her. As she faces depression and despair, she records these struggles and other dark confidences in diaries. When she learns the journals might fall into the wrong hands and discredit her, she panics and rips out pages of entries that might destroy her hard-fought reputation. Relieved, she believes they are lost to history forever. Kritters Thoughts: Elizabeth Cady Stanton is a name that you would know if you have read a few books about the relationship between getting women the right to vote and freeing slaves. I hadn't known that these movements actually came together until I read about it a few times. I enjoyed this one. It definitely was a good historical fiction read. I loved seeing how one woman just kept pushing the envelope over and over again until someone got it and helped her move forward. I loved how headstrong she was and I felt that the author portrayed that well in the book. If I hadn't read those books before this one would have been a good introduction, but having already knowing a lot of what was the foundation of this book, there were moments where it didn't feel original. There were also a few things that the characters repeated almost exhaustingly and I just wanted to say ok, I got it! Disclosure of Material Connection: I received one copy of this book free of charge from Virtual Author Book Tours. I was not required to write a positive review in exchange for receipt of the book; rather, the opinions expressed in this review are my own. Thanks for taking part in the tour! Also thanks for the further reading recommendations. 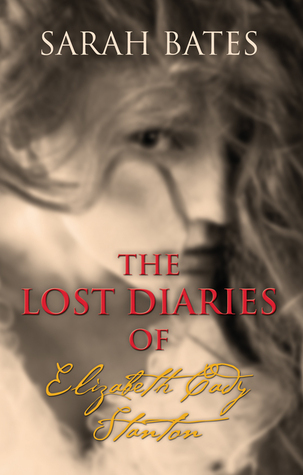 I loved 'The Lost of Elizabeth Cady Stanton' and would love to read more books like this.